Now what makes an awesome Valentine's gift? If you have perfumes, flowers or cakes in mind, you're definitely living in the last decade. Let me give you a hint. An awesome gift is a gift with a personal touch. A gift that is customized to your partner's taste to show how much you care about her. A gift she can cherish and most importantly, hold onto all her life. 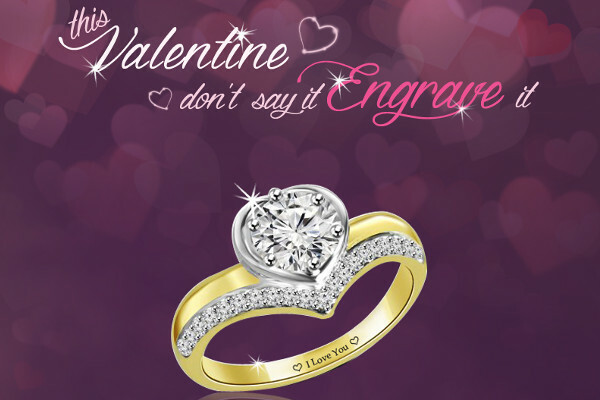 Connect this with women's love for solitaires and Voila! You have the answer: the dream gift to give to your girlfriends and wives this Valentine's Day. Solitaires with engraving of your choice! Log on to www.FionaSolitaires.com or visit Fiona Solitaires store - Select a piece from the amazing collection they have - Give them the initials/name/message to be engraved - Go out shopping for yourself (you too need to be dressed up for the special day...right?) - Come back to the Fiona store - and there you have it! The solitaire in all its beauty, ready to adorn your woman. Whats more...You get lifetime warranty along with a certificate and 100% buy back (provided you have bought the jewelry from Fiona store).